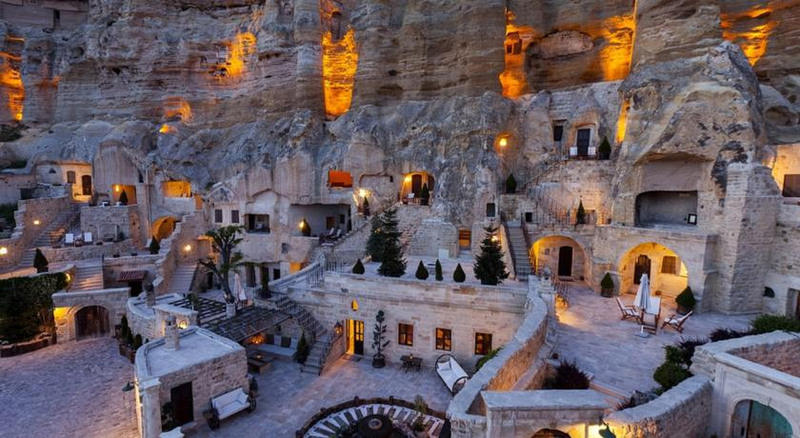 In Cappadocia’s magical landscape of fairy chimneys, in the ancient village of Urgup, is a unique hotel carved into a mountain cliff, the Yunak Evleri. 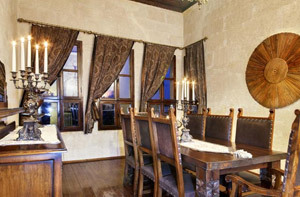 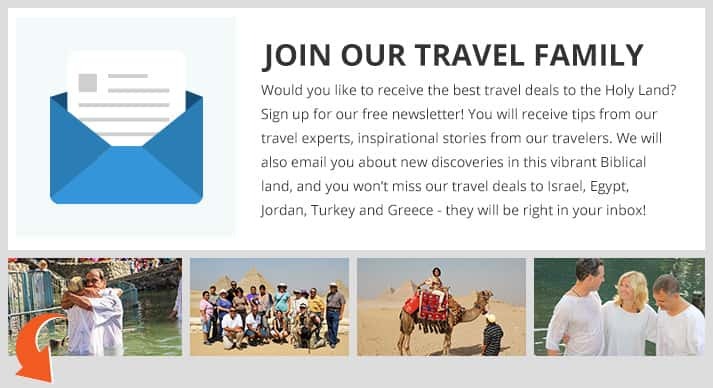 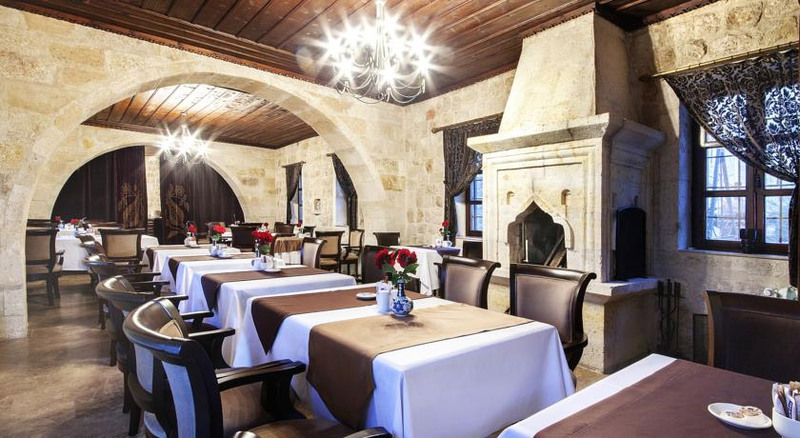 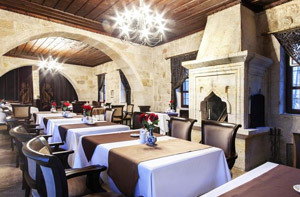 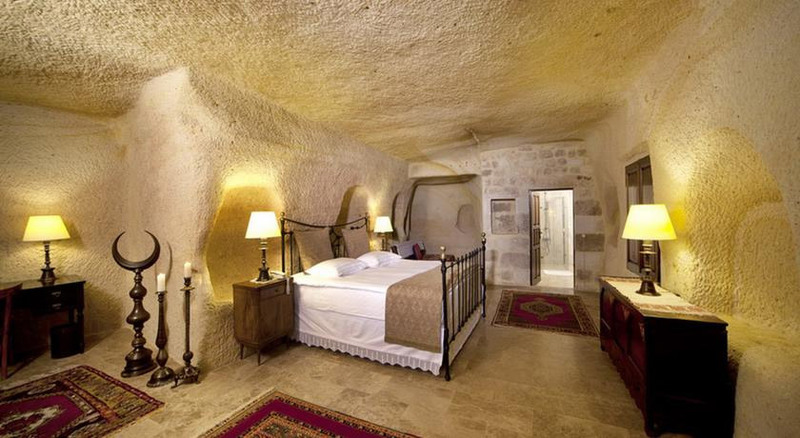 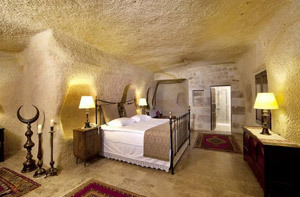 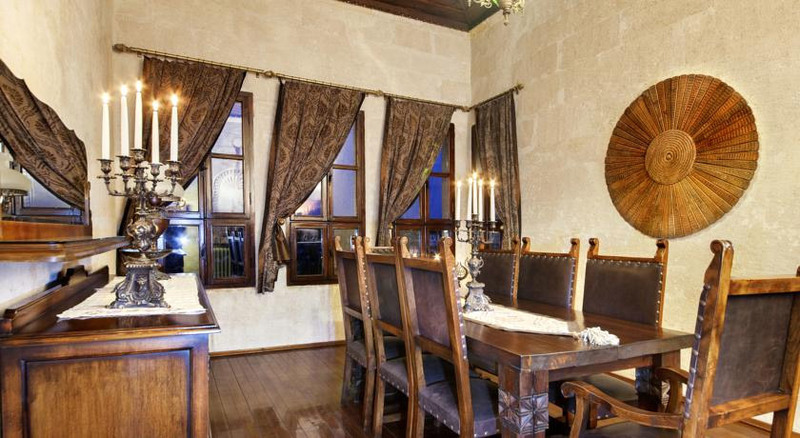 This hotel includes six cave houses, 39 rooms dating back to the 5th and 6th centuries and a 19th century Greek Mansion. 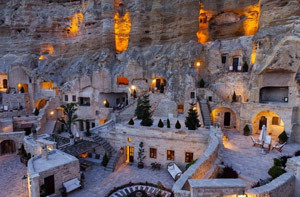 Yunak Evleri is a combination of six cave houses with a total of 39 private cave rooms dating back to the 5th and 6th centuries and crowned with a 19th century Greek Mansion. 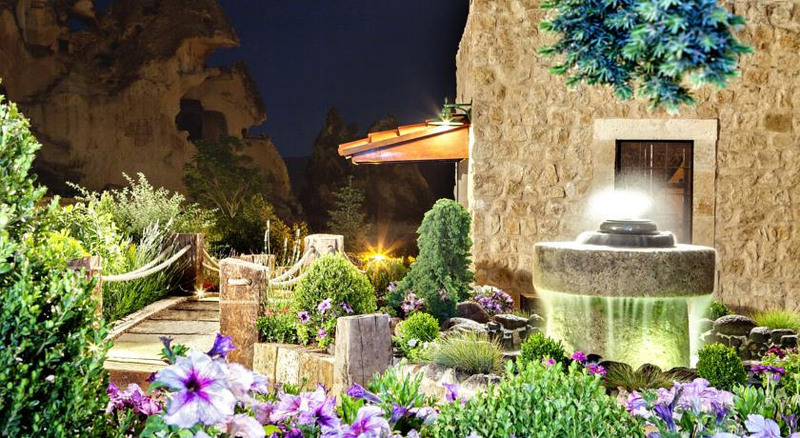 The name of the neighborhood “YUNAK” comes from the old days when women used to do all their washing and of course, socialising by the fountain located at the village square. 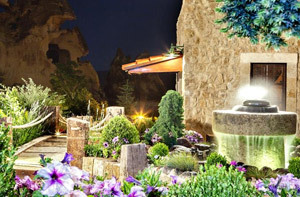 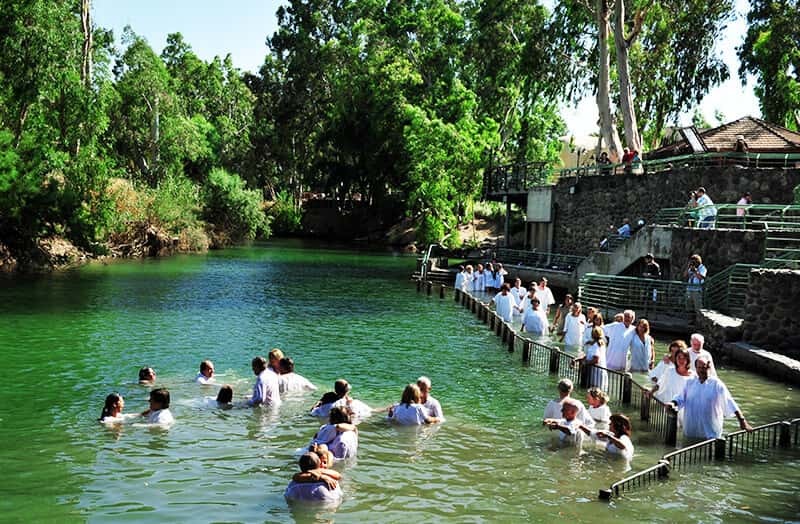 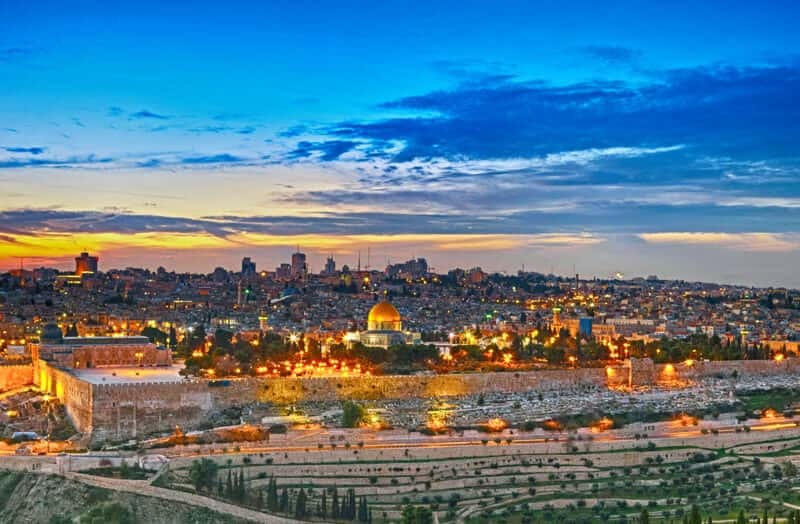 Being by the fountain and at the Yunak was the center of daily life.